Do You Have Questions About Prenuptial Agreements? It’s difficult to think about a future where your marriage is no longer working and when you wish to end your relationship with your partner. However, the hard truth is that divorce is the fate of almost half of all marriages in the United States, and planning for the unknown future can be a very smart move for both you and your future spouse. Prenuptial agreements are put in place before marriages for a number of reasons, but primarily to protect the interests of both parties and make certain that both people are entering the union with a clear understanding of their finances and responsibilities–whether or not the marriage is successful or not. Some couples benefit from drawing up a prenuptial agreement more than others. You aren’t sure if you need a prenuptial agreement or not. You would like to draw up a prenuptial agreement before your marriage. You are seeking a divorce from someone who you have a prenuptial agreement with. You don’t believe your prenuptial agreement is valid. 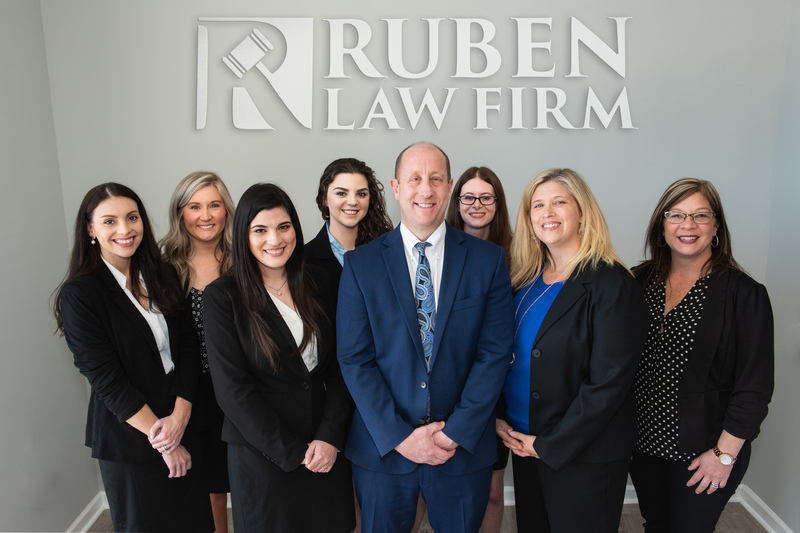 At The Ruben Law Firm, our legal team can help you with your prenuptial agreement legal needs with thoughtfulness, care, and compassion. To learn more about our family law services, to schedule an appointment, or to ask a question, please call us today: (410) 766-4044. You want to make your property ownership clear. The most common reasons for prenups is to make clear whose property is whose before everything is blended together. You can also outline how property will be divided in the case of a divorce, which can make the divorce process significantly easier and less expensive if it does come about. You want to solidify inheritance rights. If this is a second marriage, or if you have children from a previous relationship, you may wish to clarify in a contract your wishes for inheritance, including any children that might be born during the marriage to come. You want to protect yourself from debts. If one spouse has significant debts from their life before marriage, you may wish to protect yourself, and your marital assets and property, from creditors. You want to protect family property. If you have a family business, family property, or a family heirloom, you can protect it in a prenup in case of a divorce or separation. You want to discuss the parameters of your marriage. In many ways, a prenup can be what you make it to be. Some couples discuss the responsibilities of their marriage, such as their financial rights and responsibilities and their duties to their family. Note that despite its name, a prenuptial agreement does not have to be written and signed before a marriage takes place–it can be drawn up at any time in a marriage. Writing a prenup after a marriage may take away some of the stakes, but it may also be better for couples to discuss at a less emotional time, and after both parties are familiar with how their partnership works. It’s important to understand that some issues cannot be covered by prenuptial agreements. For example, issues of child custody and child support shouldn’t belong in a prenup and would not hold up in court. This is because child custody and child support decisions are always made with the best interests of the child in mind and not on a dated agreement between their parents before the child was born. Just because you and your spouse signed and notarized a prenuptial agreement does not mean that it is valid or that it will hold up in court. A judge finds it to be grossly unfair. If, for example, the prenup takes an unfair amount of money from a spouse who contributed financially to the family, the court may not uphold the contract. Child custody or child support is discussed. All child custody and child support decisions are made in the best interest of the child, and while a number of factors are included in determining the best interests of a child, a prenup is not one of those factors. Someone was dishonest during the prenup process. If a spouse lied about their property, assets, or debts during the prenuptial agreement, the contract may not be valid. Anything less than full disclosure by both parties could turn a prenup into nothing more than a piece of paper. Frivolous domestic matters are discussed. While big, financially-tied marital responsibilities may be discussed in a prenuptial agreement, frivolous issues such as chores and household matters will often be ignored by the court. The document encourages divorce. If your prenup is written in a way that encourages or rewards one spouse for seeking a divorce, the court may throw the document out. At Ruben Law Firm, we fully understand that prenuptial agreements can be extremely sensitive topics, whether you wish to create an agreement or whether you are trying to uphold or fight the agreement during a divorce. We are here to help you understand your rights, get what you deserve under the law, and ultimately resolve your family law issues efficiently and compassionately. Ready to speak with a Maryland family law attorney? Contact our office today online or call us at (410) 766-4044.